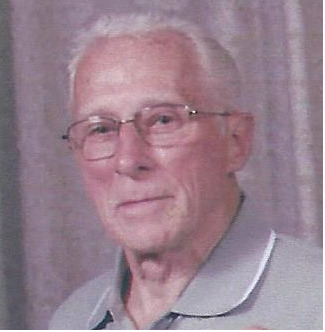 Of Waupaca, age 90, passed away on Friday, February 1, 2019 with his family at his side. He was born in Barron, WI on September 2, 1928 to the late Lewis and Berta (Baldwin) Gillett. Chuck was a veteran who served in the army; he was also a barber for more than 40 years. He was a member of Immanuel Lutheran Church in Waupaca. He enjoyed bowling and had two 300 games. 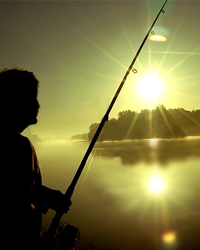 He also enjoyed golfing, fishing and playing baseball when he was young, as well as coaching. He will be sadly missed by his wife: Florence; daughters: Sharon (James) Tonar of Franksville; Sandra (John) Belot of Mukwonago; grandchildren: Joshua Beardsley, Trisha Rodriguez, Justin Belot, Shantel Belot, Remington Tonar and Chase Tonar, great grandchildren: Carlito, Aliya, Arjun, Mia and Ashlynn, other relatives and friends. In addition to his parents he was preceded in death by his first wife, Betty. The Funeral Service will be on Thursday, February 7, 2019 at 11 a.m. at Immanuel Lutheran Church, with Pastor Ron Siemers officiating. The visitation will be at church on Thursday from 10 a.m. until the time of the service. Entombment will be at Wisconsin Memorial Park in Brookfield, WI. The Maple Crest Funeral Home of Waupaca is assisting the family with arrangements. Memorials are appreciated to Immanuel Lutheran Church. The family would like to thank Crossroads Care Center of Weyauwega for the wonderful care.